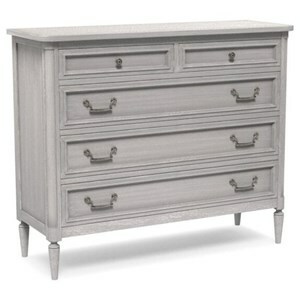 Customize the look of your piece with choice of 10 finish options. 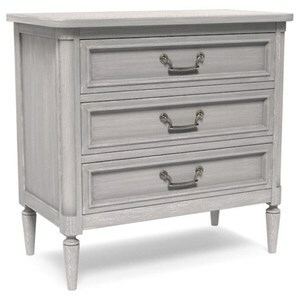 Customize this item's hardware with your choice of several types of bails, knobs, pulls, or rings. 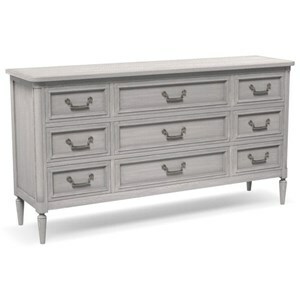 Next, choose from several hardware kit styles, and three finish options. 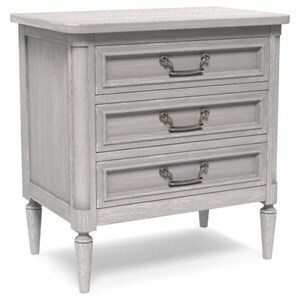 Drawers on this piece of furniture close silently with high performance undermounted metal guides similar to those found in high-end kitchen cabinets. 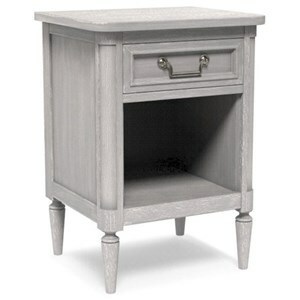 The Charlotte Customizable Medium Nightstand by Artiste Furniture at Home Collections Furniture in the Denver, Aurora, Parker, Highlands Ranch, Castle Rock, CO area. Product availability may vary. Contact us for the most current availability on this product. Finish Custom finish options. Full finish around the whole case. Hand finishing and aging techniques to complete your furniture. Greenguard Gold certified for low-chemical emissions. 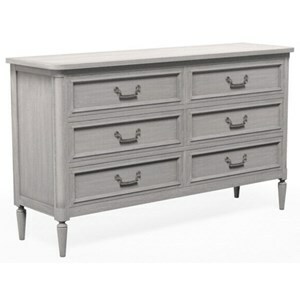 Drawer / Shelf Construction Every drawer is robotically assembled with laser precise English dovetail joinery. Case Construction Solid back panels fitted to each cabinet with tongue and groove joinery. 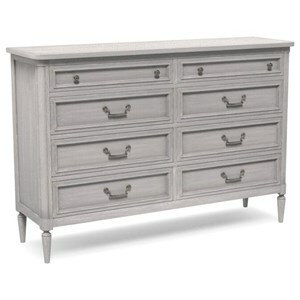 Double interior box construction to improve drawer fit and performance. UL tested to surpass anti-tip safety standards. 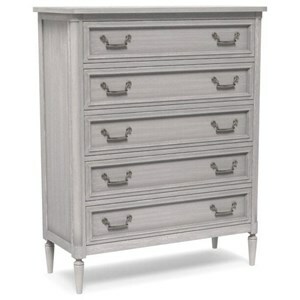 The Artiste line of high-quality bedroom furniture is available in a choice of sizes for dressers, chests, and nightstands. 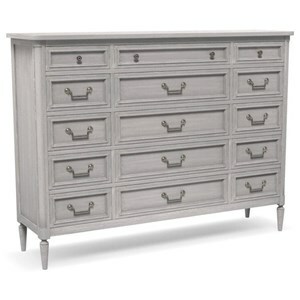 Numerous customization options, including a choice of wood finish, drawer hardware type, style, and finish, allow you to create a unique piece for your bedroom. 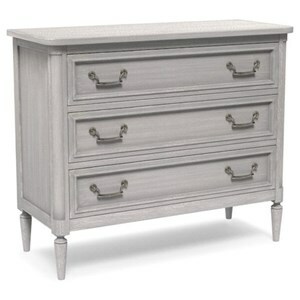 Pieces in the Charlotte collection are inspired by provincial European antiques for a timeless design with rounded posts and mitered step molding details on drawer fronts. The elegance and scale is classic yet crisp. Mix and match with your choice of Artiste bed and mirror to complete your bedroom. 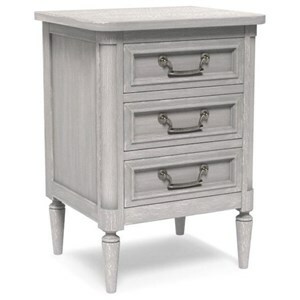 The Charlotte collection is a great option if you are looking for Transitional furniture in the Denver, Aurora, Parker, Highlands Ranch, Castle Rock, CO area. 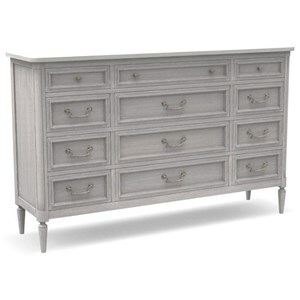 Browse other items in the Charlotte collection from Home Collections Furniture in the Denver, Aurora, Parker, Highlands Ranch, Castle Rock, CO area.